All the dirt, grit and debris should be removed daily. 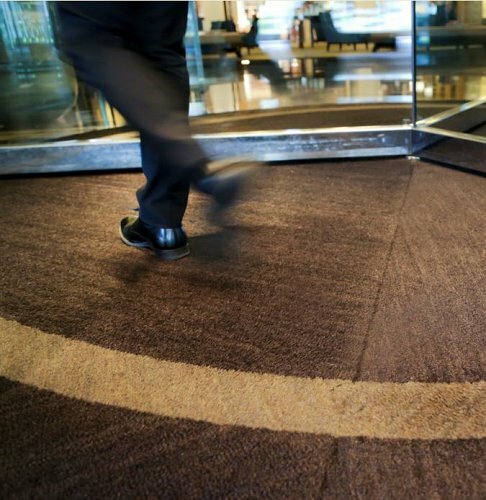 Carpet top mats can be vacuumed, while rubber surface mats can be swept with a broom or hosed down if necessary. 2. Positioning is important - Entrance mats are not all created equal. Some are specifically designed to be outdoor entrance mats with materials that perform and last well in outdoor conditions. If you have an indoor entrance mat, be sure to keep it inside as sunlight and rain can impact the quality of longevity of the mat. With both indoor and outdoor on a clean dry floor free of dirt, sand, grit, or detergent residues. If a mat has been rolled up for some time, lay it out safely in direct sunlight for an hour or two until it’s completely flat. 5. Machine washable mats - Gently roll your mat to fit into your washing machine and delicate machine wash seperately using mild detergent. We recommend using the natural, eco friendly cleaning products that do not contain oxidizing bleaches, chlorine or brightening agents. Large mats are heavy when wet and we recommend you check the load limit on your machine. Tumble dry at a low heat as part of the processing cycle or allow the mat to dry naturally. If you have any questions or would like to discuss more detailed cleaning instructions, contact our friendly team here at General Mat Company. If you need a new Entrance Mat for your building or business, with Winter weather on its way now is the best time to get a quality mat. From now until July 6th 2018 you can SAVE 20% OFF our entire range of Entrance Mats. View our range here.